Welcome to the world of cults, conspiracies and murder, as you take on the role of George Stobbart as you attempt to solve the mysteries of the most secret society of all “” the Knights Templar. Broken Sword Trilogy contains the first three games in the hugely acclaimed adventure series from Revolution Software, alongside the bonus classic Beneath a Steel Sky . An innocent vacation in Paris unwittingly whisks a young American, George Stobbart, away on a mysterious and compelling escapade which could change the fate of Man. As George, you are thrown into the arms of intrigue as you uncover a sinister collusion which could turn the world upside down. As the threatening darkness of the eclipse smothers all, the discovery of a sinister drugs ring by chance reveals an arcane power of an ancient civilisation. Torment and terror, sacrificial rituals and bloody massacre is unearthed beneath a veil of Mayan mystery. 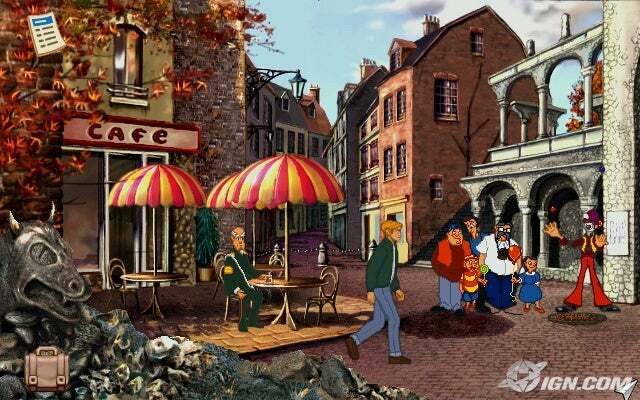 Broken Sword The Sleeping Dragon represents the next generation in adventure gaming. Once more George and Nico must travel the world, wrestling danger and piecing together the clues that will unravel the secrets of the Sleeping Dragon. The first three games in the award winning series. Windows: XP/Vista. DirectX 8.1. 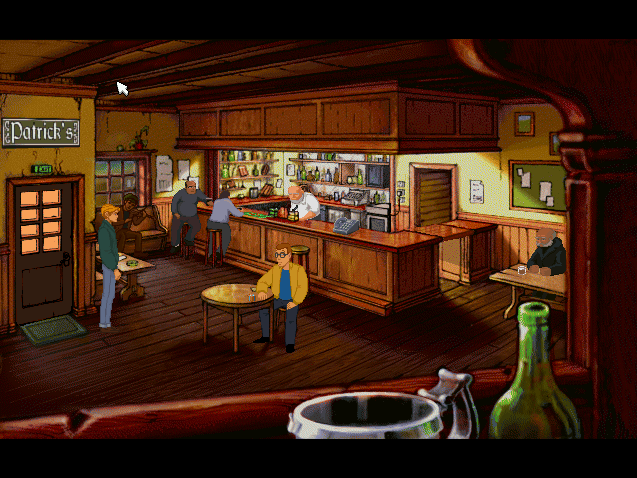 Broken Sword 1 & 2 compatible with all platforms supported by ScummVM.